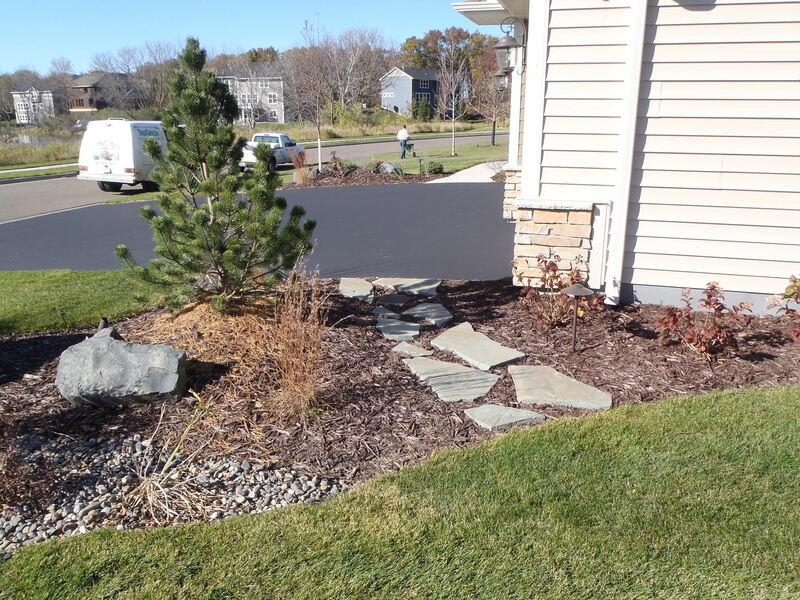 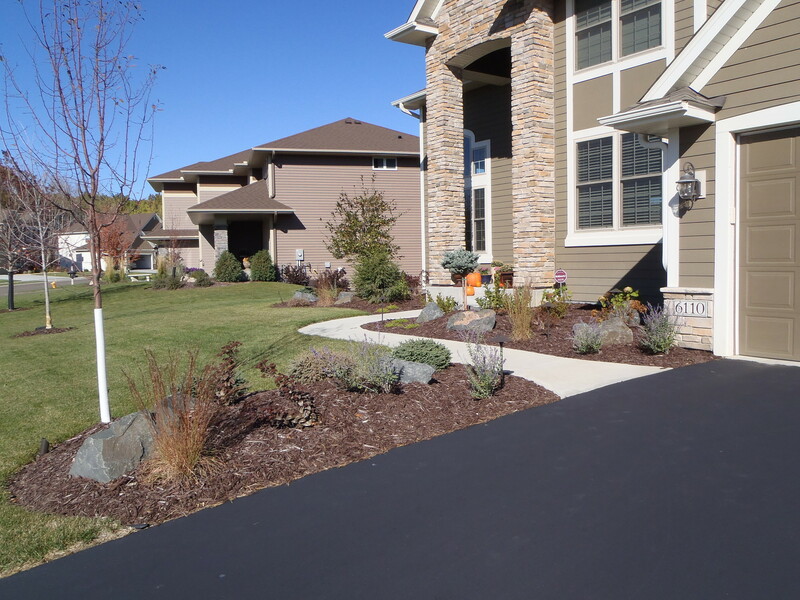 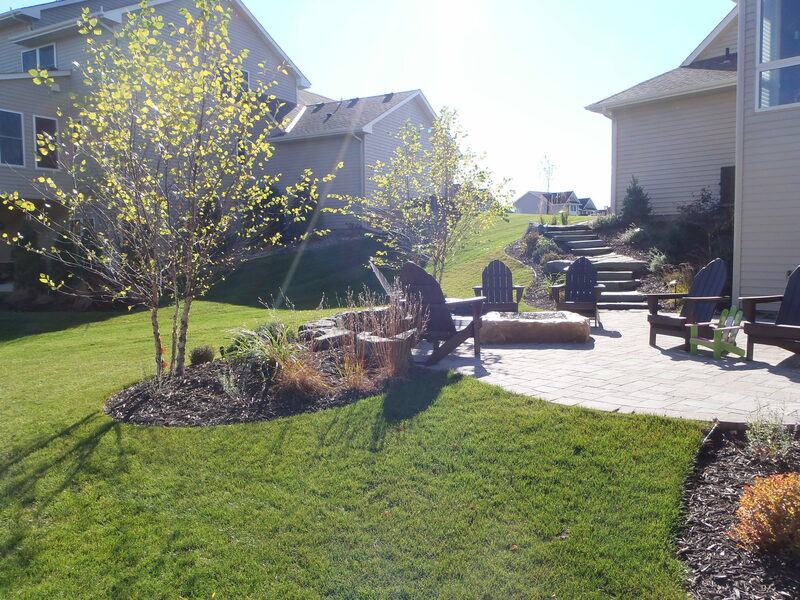 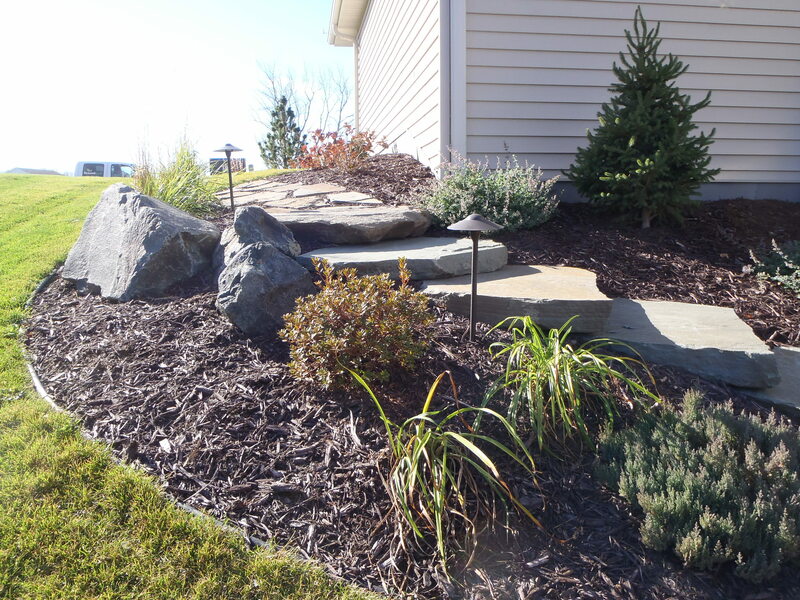 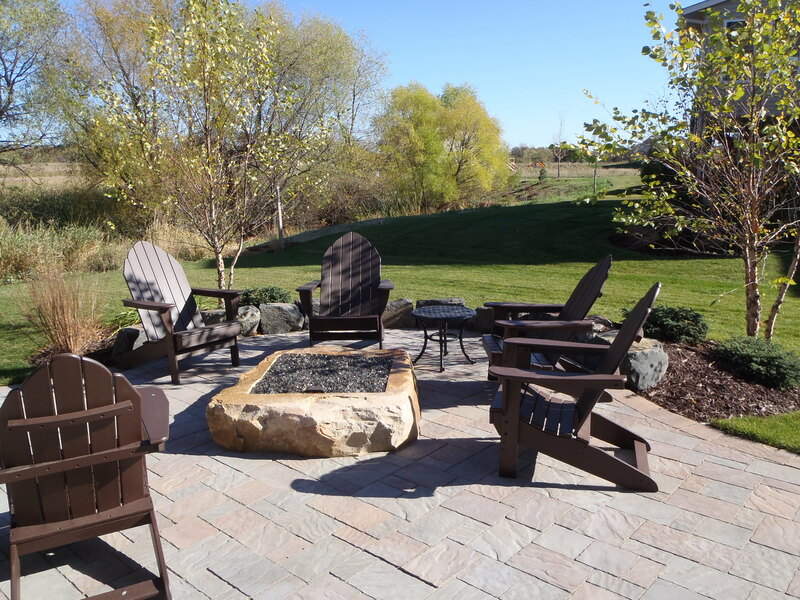 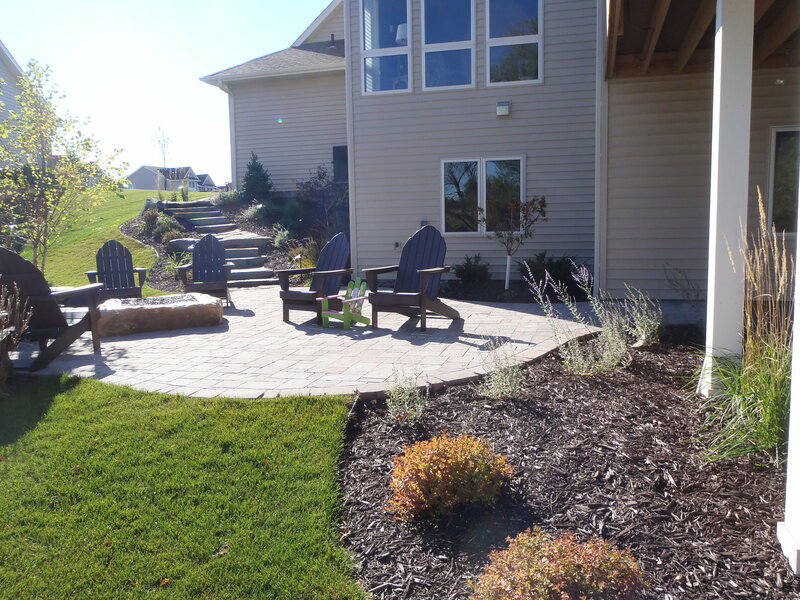 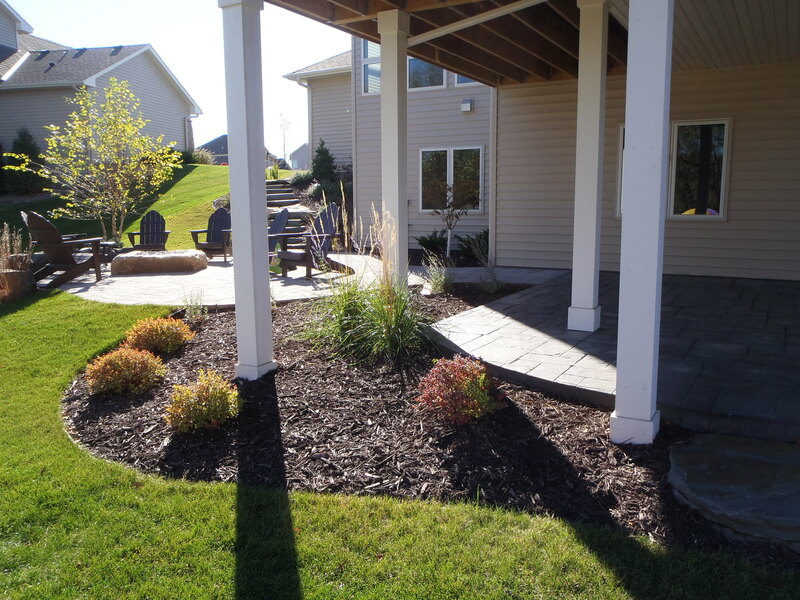 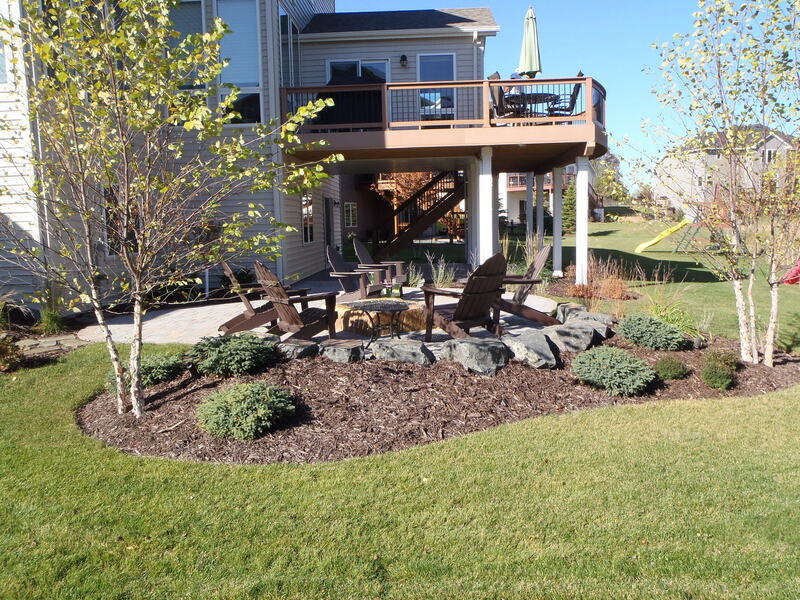 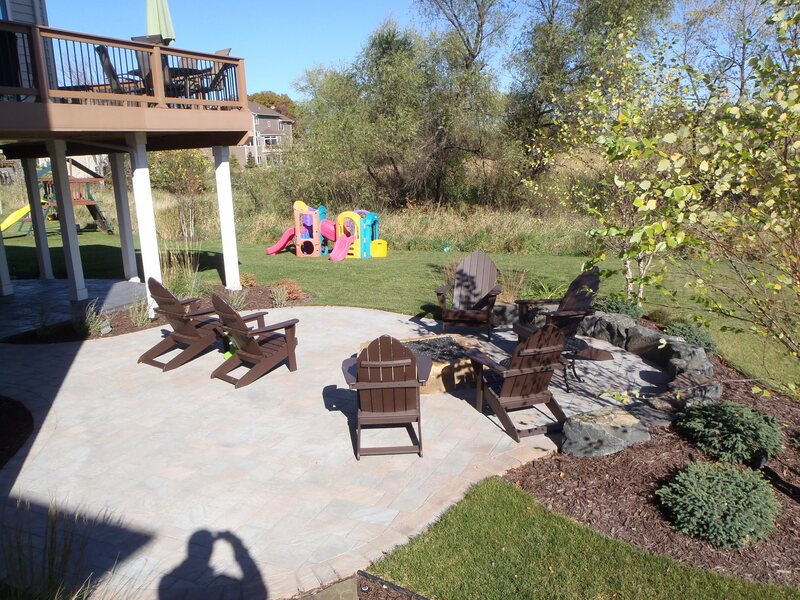 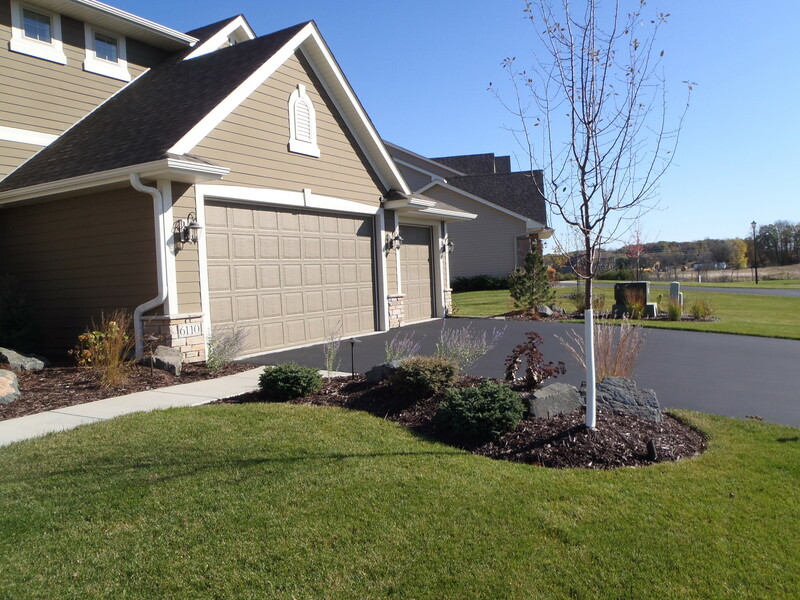 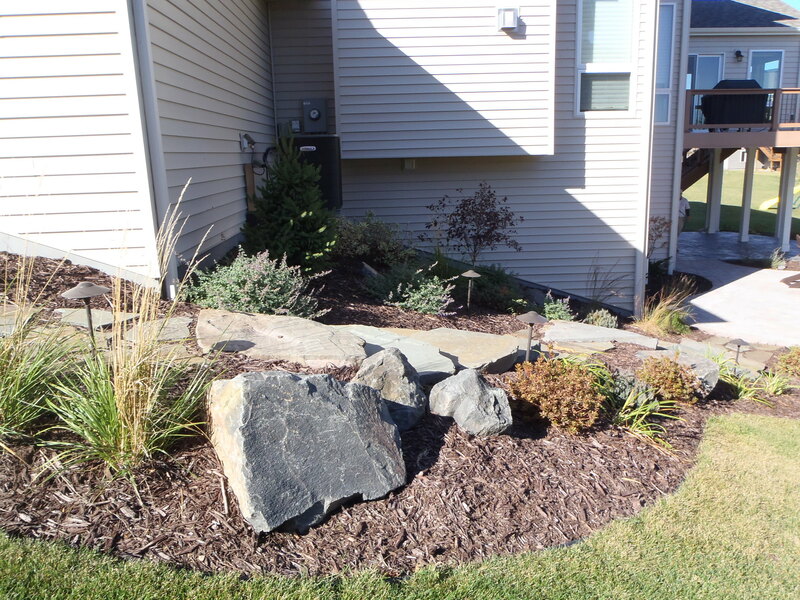 This custom landscape and hardscape project in Plymouth, MN featured a Belgard paver patio with a gas fire pit that was built out of a hollowed out boulder. 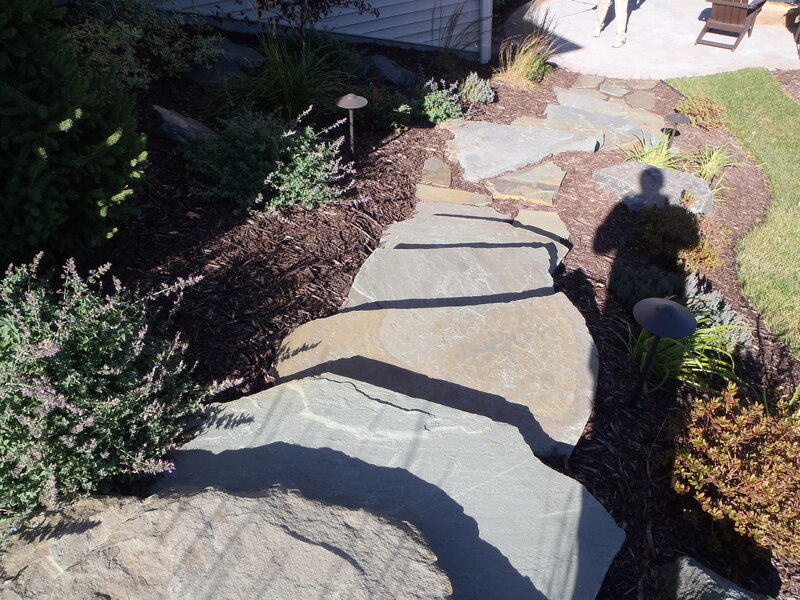 The gray trap rock boulder seating wall tied together with the Bluestone outcropping steps and stepper paths. 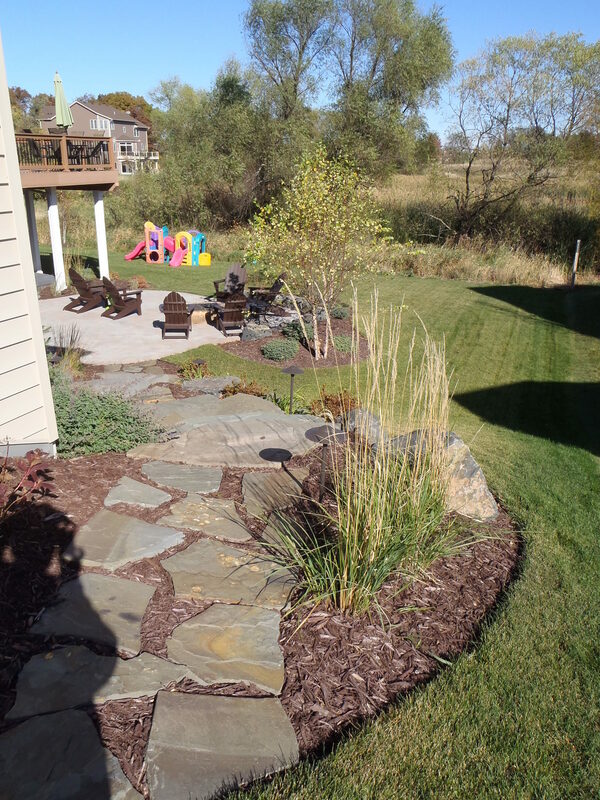 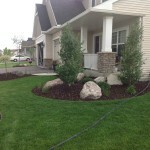 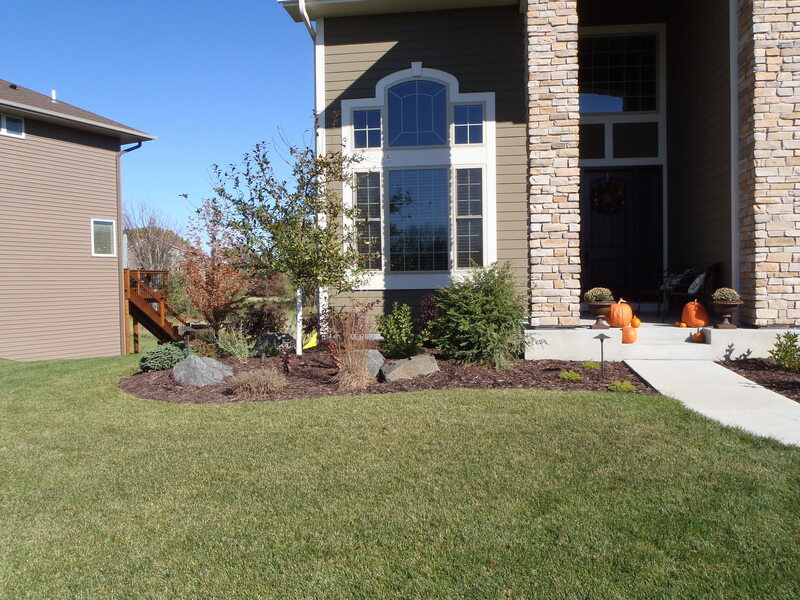 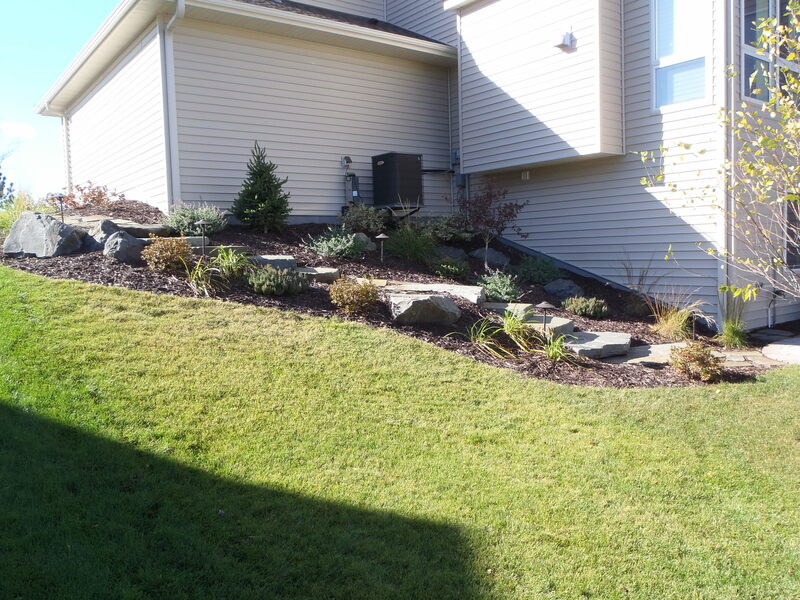 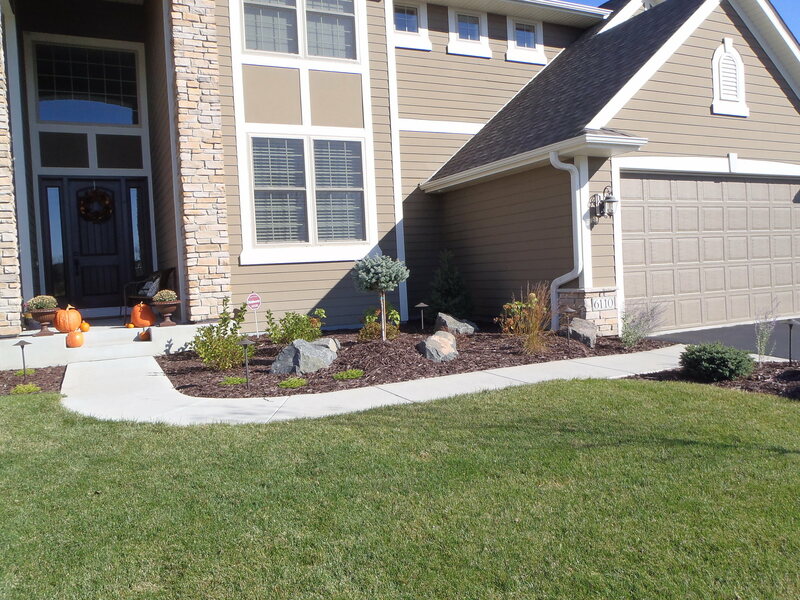 The landscape had a variety of shrubs, perennials, and trees to add color as well as screening to the landscape and patio. 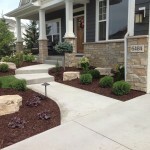 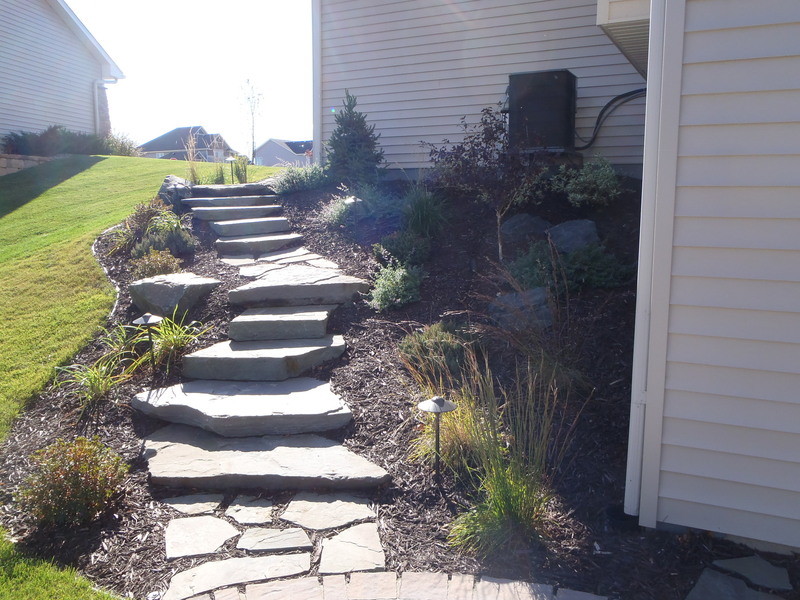 The landscape shines all night with the accent lighting along the front sidewalk and back yard steps.